Hello and welcome to Casey and Cranbourne Veterinary Hospital. 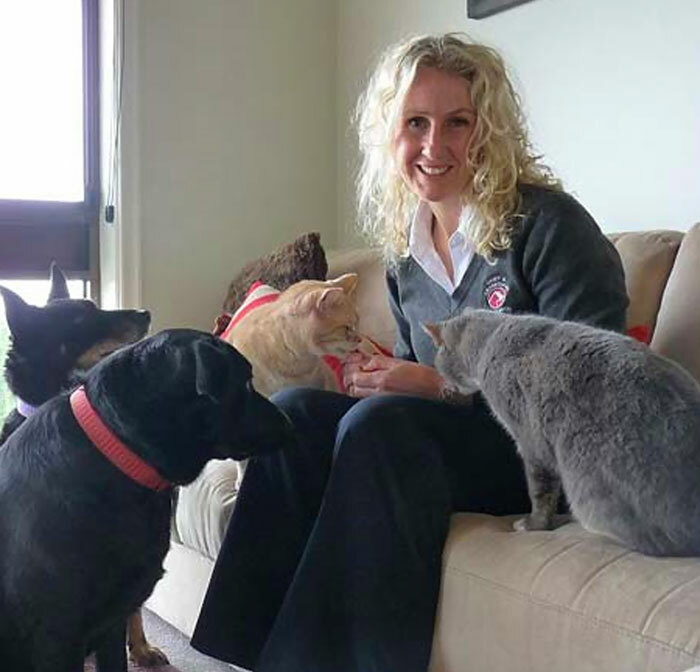 My name is Dr Leanne Versteege and I am the principal veterinarian, clinical director and owner of Casey and Cranbourne Veterinary Hospital. I started my veterinary career in 1996 in Koo Wee Rup where I spent 2 years in mixed practice before heading over to the UK where I spent 8 years working in a small animal practice in Andover, Hampshire. Whilst there, I gained a wealth of experience in medicine and surgery of dogs, cats and pocket pets, particularly rabbits. I was in a fortunate position that I could travel for a couple of months each year and travelled extensively through Europe, America, Sth America, Africa and Asia. 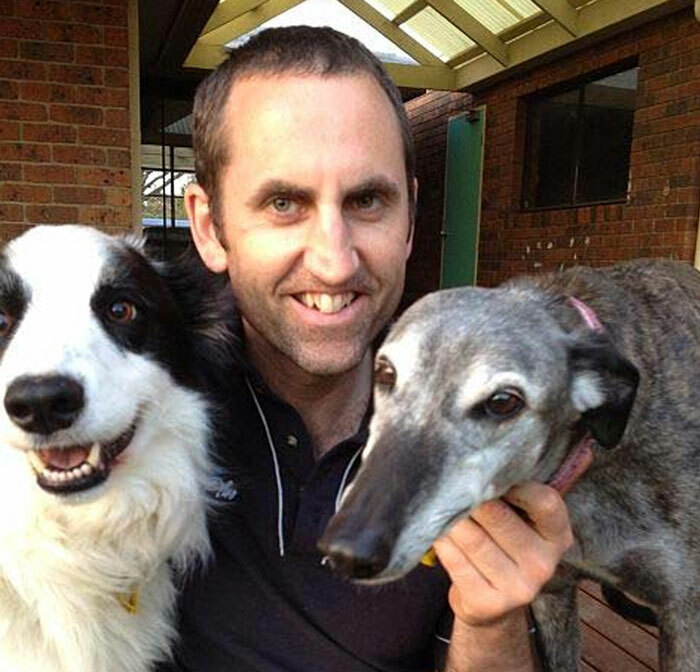 I returned to Australia in 2006 whereupon I became co-owner of Casey and Cranbourne Veterinary Hospital. In July 2015, my husband Richard Kay purchased Dr David Guest’s share of the practice and joined the hospital as business manager, allowing me to concentrate solely on being a vet, serving the community of Cranbourne as I have been privileged doing for the past 10 years. Richard and I have two fur babies, both adoptees from work, our labrador x Bella and our rather large ginger cat Austin. They are best friends who are inseparable and constantly provide us with joy and companionship. In our spare time when we aren’t at the hospital, you will find us out on our bikes, swimming or running as we train for and compete in Ironman triathlons. For those loyal clients of Casey and Cranbourne Veterinary Hospital who have forged long lasting relationships with the practice over the past 10 years, I say thank you. 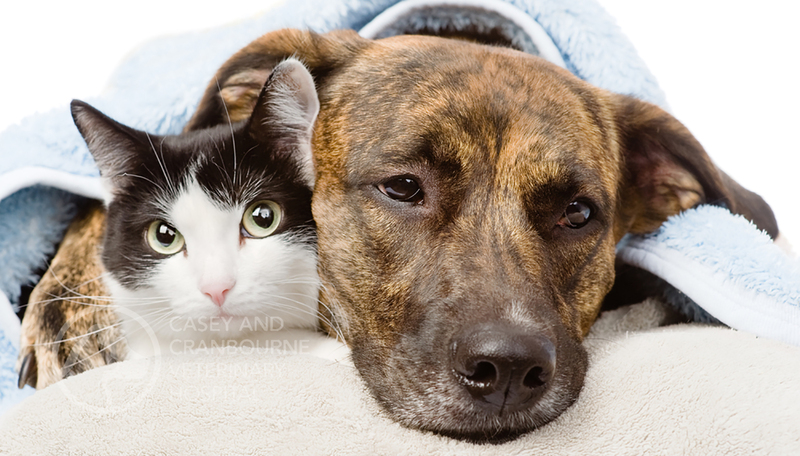 For those clients and pets who are new to Casey and Cranbourne Veterinary Hospital, on behalf of all the staff, I extend a warm welcome and we look forward to meeting you when you next come in. My promise to you is that we will provide the best veterinary care for your pets, treating them as if they were our own, with the utmost respect, care and compassion. I was born in Tasmania and grew up in the Yarra Valley farming communities. 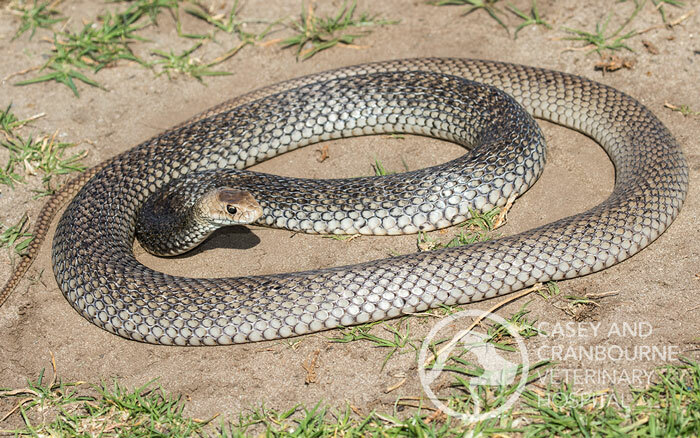 I graduated in 1995 from Melbourne University with a Bachelor of Veterinary Science (Hons). Since that time, I’ve worked in Albury, Koo Wee Rup, and have practised in Cranbourne for the past 15 years. I have an amazing daughter, Eliza, and currently live in Narre Warren with a greyhound named Casey. Having grown up in farming communities, you’ll find me genuine, down-to-earth and easy to communicate with. I will always protect your pet’s best interests. I graduated from Murdoch University in 2006 with a bachelor of veterinary science degree and a bachelor of veterinary medicine and surgery. After graduation, I worked in mixed practice in Mildura for 4 years. Craving city life, I decided to move to Melbourne and worked in a clinic in Hampton Park for 5 years before I set foot in Casey and Cranbourne Veterinary Hospital. As I grew up in Malaysia, I was exposed to Chinese medicine, and has seen how both eastern and western medicine could work hand in hand to help improve animals’ health. I decided to further educate myself on veterinary acupuncture and obtained my certificate in veterinary acupuncture in 2010. The highlight of my career would be when I saw a ferret, which was paralysed on both hind limbs from a fractured spine, start to wiggle its’ leg after a few weeks of acupuncture and rehabilitation! 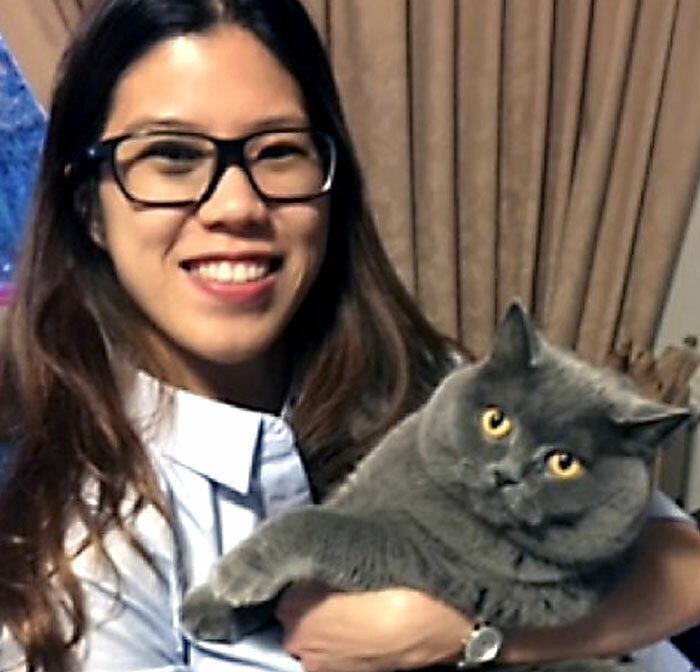 I am proficient in ultrasound diagnostics and with the new ultrasound machine at Casey and Cranbourne Veterinary Hospital, I will be able to offer complete, comprehensive, holistic treatment for my furry patients. It is to no surprise that all veterinary staff adopt animals from the work place. I’ve adopted two adorable cats, ‘Muffin’, a cute and chubby British Blue and ‘Skittles’ a Domestic Shorthair with lots of attitude. During my days off I love to snuggle up in bed with my two cats, exploring Melbourne cafes and some Bikram yoga to burn some calories. Music is another passion of mine. I love to sing and dance even if I don’t know how to! My partner and my two cats will attest to that. My life in Australia started in the mid 90’s, when I moved here from Michigan to complete a Bachelor degree in Marine Biology at James Cook University. I then moved to Brisbane where I graduated with my Vet Degree from the University of Queensland in 2002. From there, I went into private practice for a short time before pursuing my love of surgery at the University of Melbourne by completing a surgical internship. I’m now back in private practice and have been at the Casey and Cranbourne Veterinary Hospital since 2006. 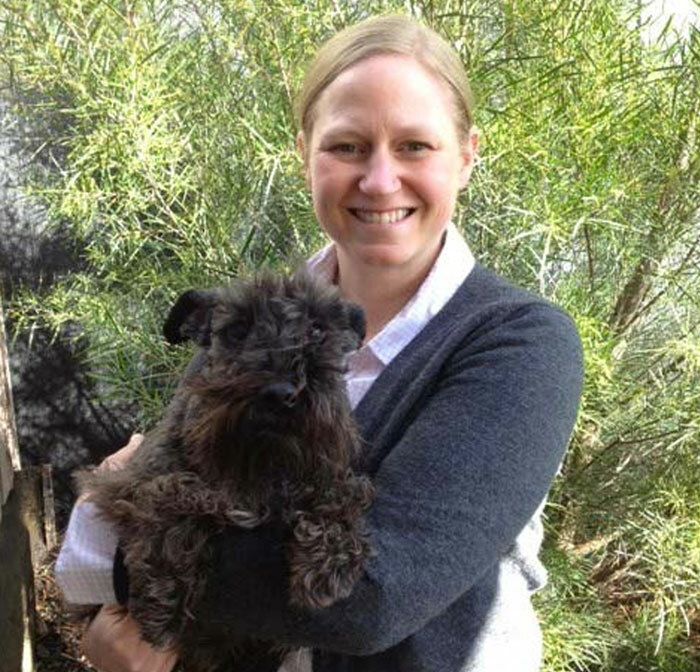 I live in the Yarra Ranges with my husband, beautiful son, gorgeous daughter, and a cheeky little black Schnauzer named Notte, who many of you may have met as he used to spend a fair bit of time meeting and greeting clients at the front desk in his younger years! I have a love for surgery and surgical oncology. Some of the elderly pets I now see in the clinic have been my patients since their first puppy/kitten vaccination and I am so thankful for all of the wonderful pets and their owners that I have met over the years.